FARGO, N.D. — James Buchli’s path from Fargo to space was anything but meteoric. The first native North Dakotan to fly in space brought a wide-ranging resume to his application to be part of NASA's first space shuttle class in 1978. It included a stint aboard a submarine while in the Naval Academy, a 13-month deployment in the Vietnam War as a platoon commander in the Marine Corps and thousands of hours flying fighter planes. All that gave him an edge when he was among 8,000 applicants for 35 slots in that first class, Buchli said. "In the end, I think what they were looking for was people who had done things in their lives to demonstrate performance under pressure where decisions that you made counted," Buchli said. A former Navy SEAL, a Special Forces doctor and a submarine officer are among this distinguished group of future astronauts. Buchli, 73, who was born in New Rockford, North Dakota, and raised in Fargo, and Missouri native Janet Kavandi will be inducted into the United States Astronaut Hall of Fame at Kennedy Space Center Visitor Complex in April, raising the number of people in that elite group to 99. Buchli flew on four space shuttle missions, including the 1985 Challenger that carried the largest crew to fly in space, with eight members. Kavandi, 59, from Carthage, Missouri, flew on three space flights, in 1998, 2000 and 2001. She logged more than 33 days in space, travelling more than 13.1 million miles in 535 Earth orbits. She served in various leadership capacities with NASA and is currently director of NASA's John H. Glenn Research Center in Cleveland. Kavandi, the 35th woman to fly in space, had wanted to be an astronaut since she was a young girl. Dan Brandenstein, a native of Watertown, Wisconsin, was also in the first space shuttle class, a group nicknamed TFNG (Thirty-Five New Guys) that helped revive a program that hadn't picked any new crew members for 15 years. Brandenstein said Buchli wasn't the only rural rocketeer in the bunch. "If you went back and looked at it, at least in our class, there were quite a few who had roots in small towns in the Midwest," said Brandenstein, a longtime board member of the Astronaut Scholarship Foundation, which runs the Hall of Fame. "It demonstrated that the opportunity was there for anyone who had the experience and the background and the desire." Buchli, Brandenstein said, impressed his fellow astronauts as a "die-hard Marine, gung-ho and really a sharp guy." Buchli has orbited the earth 319 times, travelling 7.74 million miles in more than 20 days. His first flight was in 1985 aboard Discovery, where as mission specialist he sat in front of the spaceship between flight commander Ken Mattingly and pilot Loren Shriver. "The greatest thrill is your first liftoff because it's absolutely like nothing you have experienced in your life and of course you will never have another first liftoff," Buchli said. "Mattingly looked over right before liftoff and said, 'You guys are really going to like this.' I have never seen that much energy and power in my life." While training for his third flight, Buchli wound up becoming part of a group that supported the families who lost crew members aboard the 1986 Challenger explosion. Taking a cue from his experience in the Marines Corps, he suggested that the Astronaut Office form a casualty assistance coordination program and he spent the next year and a half helping those families while space shuttle operations were suspended. Buchli flew on Discovery in 1989 and 1991 before giving up space. From March 1989 through May 1992 he served as Deputy Chief of the Astronaut Office. 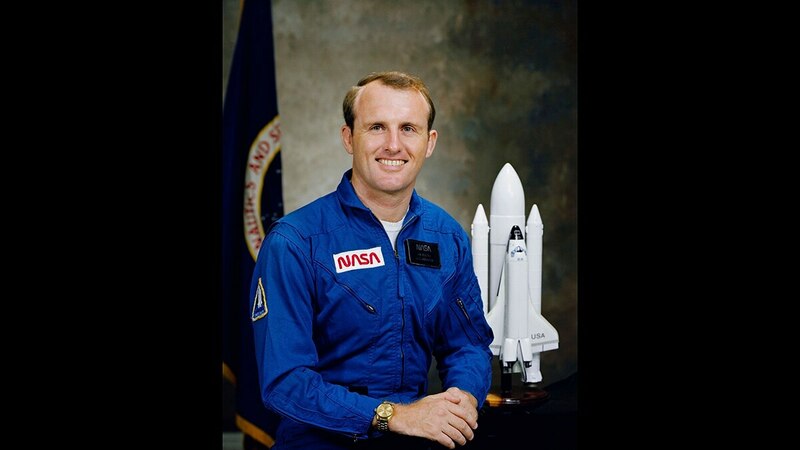 In the fall of 1992, he retired from the Marine Corps and the NASA Astronaut Office and spent the next 25 years working with Boeing Defense Space Group. Buchli returns to North Dakota at the start of every school year to talk with University of North Dakota faculty and students of the space studies program and in May was the keynote speaker at a space studies symposium. "That is a pretty dedicated individual to give back to his home state," said Paul Lindseth, aerospace sciences dean at the University of North Dakota. "He is so humble and so unassuming. If you ran into him at Wal-Mart and started visiting with him you probably wouldn't find out that he was an astronaut. He doesn't exactly fit the typical cocky fighter pilot mode."